As I get older and more aware of how little time each of us really has, the more I think that boredom is just a form of laziness. I'm working the coffee trailer at this elementary school fundraiser, when this cute little blond boy walks up who's got to be no more than 7 years old. When I say hello, he very politely asks if we have smoothies. 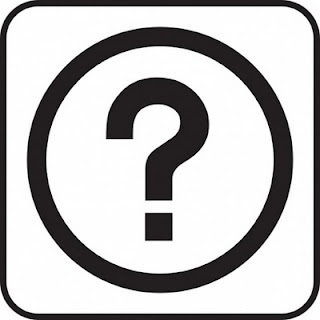 I tell him yes and point to our menu, which he slowly scans with a crinkled forehead, sounding out each word. "Excuse me," he says. "But can you mix the smoothies?" "Yes," I say. "Which flavors would you like to mix?" "I would like to mix the mango and the peach, please." "A small one of those would be four dollars," I tell him. This is when he pulls a folded five-dollar bill out of his pocket and holds it out to me. "I would like one dollar in change, please," he says. A bad picture of a great band. Last night, my buddy, DJ Chris Cox, took me to see Santa Fe & The Fat City Horns at the Palms. This band is made up of a 6-piece horn section, 2 keyboardists, a drummer, a percussionist, a bassist, 3 vocalists, and bandleader/guitarist/singer Jerry Lopez, all crammed onto the tiny stage of the casino lounge. Talk about musical intimacy. I've seen them before and have written previously about how wonderful their show was when it was a free-admission spectacle at the Tropicana. In their new digs at the Palms, they charge a nominal $7 cover (or $15 for a VIP booth), but this show is well worth it. Santa Fe & The Fat City Horns play a range of musical styles from latin jazz to funk, including some nicely-arranged covers of such hits as The Beatles' "Come Together" and Stevie Wonder's "Livin' For The City." And their original material fits right in with the covers. Though just about every number was phenomenal last night, my personal favorite was their version of "Come Together" by The Beatles. I've seen these guys do this song before, and they really put their stamp on it, with a super-funky rhythm and tightly-harmonized choruses. The show also featured a guest appearance by America's Got Talent winner Michael Grimm, who borrowed a guitar and growled his way through a bluesy number that included a really nice organ solo from a guest player whose name I shamefully didn't catch. Another highlight of the show came when vocalist Tony Davich rocked through a cover of "Soul Power" by James Brown. Bandleader Jerry Lopez also provided a nice change of pace when he performed a virtuoso classical guitar piece that ended with dramatic flair. These guys are killers, each & every one. It must be said that every member of Santa Fe & The Fat City Horns is a monster player, and blistering solos were peppered throughout last night's 2-hour show, so that everyone got a little piece of the spotlight and each musician made the most of it. I can't remember the last time I was wowed by a trombone solo. Now, I worry about the viability of a large-ensemble band that only performs one night per week. The logistics involved must be hair-raising, and I take my hat off to these fellas for doing what they do the way they do it. And my summary judgment is this: if you count yourself an authentic Las Vegas resident in any way, you need to see this show. Monday nights at 10:30 p.m. The openers have hit the stage! ...is at Bite of Las Vegas, where a band called "100 Monkeys" has opened up the main stage. They're a passable act, and the weather's perfect, so what more could one ask for? I never met Steve Jobs. 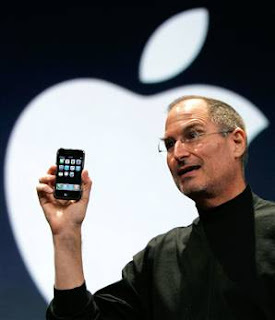 I never attended one of those famous presentations where he got up on stage in his mock-turtle & jeans to unveil some Apple product that would soon redefine the consumer electronics market. I'm just some poor, middle-aged schlub who's been using Apple products for the last 3 decades, more or less. 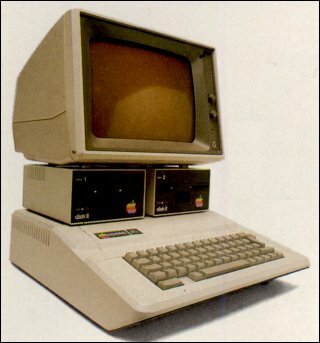 For me, it began in 1982 with my buddy Kenny's Apple IIe, which we used mainly to play a game called Wizardry, though we did manage to learn a bit about basic programming and word-processing along the way. And wasn't that 1984 Macintosh commercial, with its Orwellian overtones, amazing? All through college, when the new Macs came out, I would lust after them, hungrily poring over the specs of each debut model, though my finances were such that I had to do the best I could with what I had, eking out every last hertz of computational power from those machines as I struggled through a thicket of ever-changing software programs, from Appleworks to Claris products to Adobe Pagemaker to the ubiquitous Microsoft Office. Ah, how this screen brings me back! 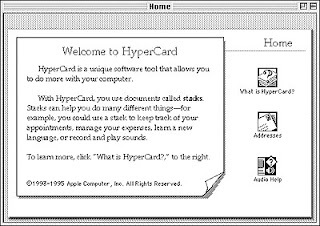 I even created my first commonplace book using Hypercard, that early experiment in hyperlinking text, although the one I made later using Filemaker is still a sentimental favorite, with the "random flashcard" functionality that I built into it to inspire my early exercises in free association & journal-keeping. 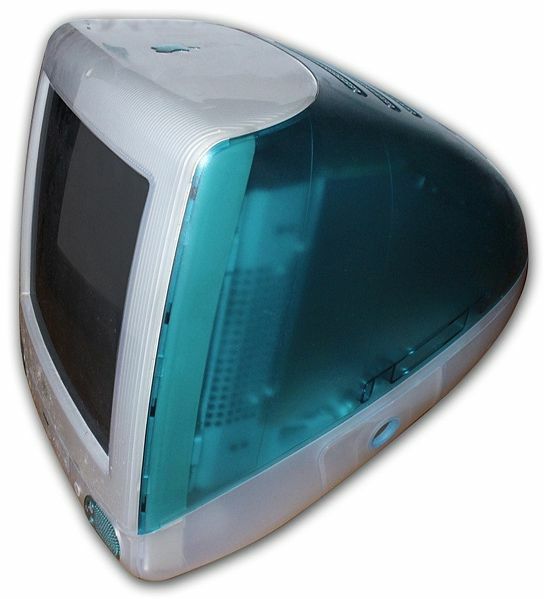 I did buy the first iMac, with its "bondi blue" plastic finish and hockey-puck mouse, loading it with shareware, surfing the nascent (dial-up) web with Mosaic & Netscape Navigator or whatever AOL bundled with its service. I have to admit that my love of Apple products has not led to exclusivity. I've owned my share of Windows-based computers, too, mostly because of their compatibility with whatever job I had. (Indeed, I'm writing this blog post on an HP laptop, because the MacBook is my Princess's primary machine.) I guess you could say this is a measure of how Steve Jobs differentiated his products from those that permeated the business world. Still, I may do some work on PC's, but I always played & created on stuff built by Apple. Yet another Steve Jobs creation that changed my life. The Iphone was as much of a game-changer as anything Apple has put out. I can tell you that when I finally switched from my HTC Tilt to an Iphone 3GS, a lot of my personal habits changed. Though I'd always been an audiobook aficionado, once I started using Itunes, I became a podcast junkie, even taking in the occasional college lecture via Itunes U. Currently, I subscribe to about 90 podcasts. Seriously. How deeply have the products of Steve Jobs insinuated themselves into my life? My beloved Princess literally sleeps with her Iphone, and I'm never very far from mine. So, yes, the point of this meandering remembrance is that, since the 1980's, there have always Apple products in my life. I don't see that changing anytime soon. Thanks, Steve. Requiescat in pace. You Drank What?! (online only) - about my drink-quest across Las Vegas. THE DISH: Back To The Land - about Jose Davalos and his family's tequila. I hope you enjoy these as much I enjoyed writing them. So, yesterday, I walk into my local Barnes & Noble to check out the new releases, and, as I stand there in my Raiders t-shirt and cargo shorts, with my earbuds blasting the Beatles, this woman comes tramping in the front door, walks right up to me, and says, "I need a book called Things Fall Apart." This happens to me all the time. Almost everywhere I go, no matter how casually I'm dressed, people think I work there. In malls, I get asked for directions. In stores, I get asked for help finding things. In restaurants, I get asked about the menu. At the library, I get asked where the reference section is. When I'm on the Strip, tourists ask me how far away the Bellagio is. I guess it's my many years working in customer service. Maybe it's that I carry myself like someone who knows where stuff is. Most likely, it's just that I look relatively friendly and harmless. When I dress up, I look like a high-school principal. When I dress down, I look like high-school principal on his day off, about to mow his lawn. My friends have a nickname for this phenomenon of people walking up and asking me things. They call it the "Just Ask J.J." moment, and it was born in those moments in a barroom conversation when some trivia was needed and all eyes would inevitably turn my way to see if I knew what the world's longest river was. Apparently, the random public has tuned into this phenomena, as well. This is what comes of a meandering liberal-arts education and a lifelong mastery of useless, inapplicable information. In any case, it takes me a moment to realize that this woman is talking to me, so I pull my earbuds out and mutter an "Excuse me?" "My boy needs it for school," the woman continues, unflappable in her quest. She looks about late-30's, wearing an Ed Hardy tank-top, shorts, and flipflops. Her hair is pulled back into one of those scrunchy things, and she's not wearing any makeup. Clearly, she's a mom on a mission. This is when I notice the two boys shuffling in her wake, each clutching Nintendos and looking rather sullen. "It's a novel by Chinua Achebe, " I say to her, pointing down the fiction aisle. "You'll find it right down there. In fact, I can see it on the top shelf right there." As she motors away, dragging her boys with her, a young man in a button-down shirt & khakis walks up. He's got a nice, tight ponytail and a cute little soul patch to go along with his horned-rim glasses. Even without the name-badge, I'd have pegged him as a wage-slave of Barnes & Noble. Before he can say anything, I wave towards the receding woman and say, "I'm good, but I think she might have a question or two." The wage-slave nods and goes after her, and I continue my browsing. Later, as I leave the store, just before I step off the curb to walk towards my car, an SUV stops in front of me and the driver's side window rolls down. A clean-cut guy in a polo shirt leans out. He looks lost and in a certain amount of discomfort. This is when I realize that the sound I hear in the background is a chorus of kids all screaming for ice cream. "You, uh, wouldn't happen to know where there's a Baskin-Robbins around here?" the driver asks. I smile and point and begin giving directions. After all, we're here to help each other out, right?